The Duncan Mosquito YoYo is a flared gap shaped body with a high speed ball-bearing axle. 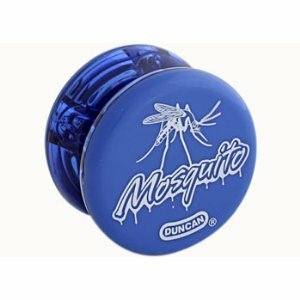 The Mosquito features an aerodynamic rim-weighted shape, long spin times, take apart design, and uses Duncan Friction Stickers for perfect response. Assorted colors. Not for children under 3.